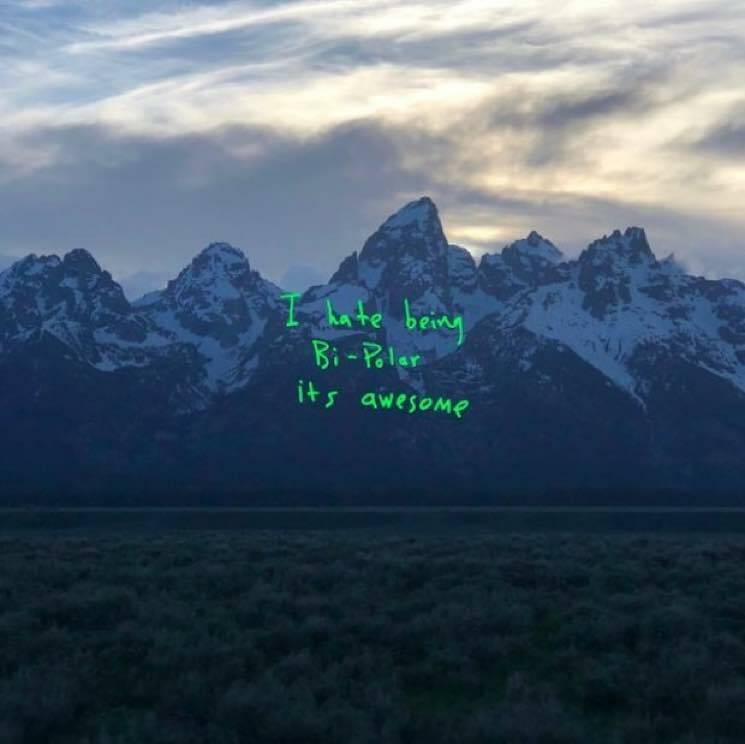 As promised, Kanye West dropped his new album today. Following a star-studded listening party, ye is now streaming — and all of its guest features have been revealed. After going solo for opening cuts "I Thought About Killing You" and "Yikes," West enlists the help of G.O.O.D. Music rapper Valee and Ty Dolla $ign on "All Mine." Ty reappears on "Wouldn't Leave," which also features spots from Mississauga's own PARTYNEXTDOOR and his frequent collaborator Jeremih. Unsurprisingly, Kid Cudi also comes through with a cameo on the album, guesting with Charlie Wilson on "No Mistakes." West made his return to the live stage during Cudi's show in Chicago last fall, and the pair will reportedly be releasing a joint album under the moniker Kids See Ghost next week (June 8). Cudi also turns up on "Ghost Town," alongside additional features from John Legend and 070 Shake, before the album closes out with appearances by Dej Loaf and Nicki Minaj on "Violent Crimes." Minaj is referenced by West in the song, as he declares: "I hope she like Nicki, I'll make her a monster." Minaj herself can be heard at the end of the track via a voicemail in which she seems to come up with and condone the line. Of course, the line is no doubt a reference to West's 2010 My Beautiful Dark Twisted Fantasy track "Monster," which featured Minaj. It's an unexpected shout-out given where Minaj's loyalties lie in the feud between Drake and West's close collaborator Pusha-T, but at least West didn't have to get his wife to leak the phone message via Snapchat this time around. See the full tracklisting for ye below. Pre-order ye on vinyl via Umusic here. As for the accompanying album art, apparently Kanye snapped the photo en route last night's listening party.